The Australian Government invested $1.5 million from July 2011 to June 2013 in a Myrtle Rust Transition to Management Program, managed by PHA. 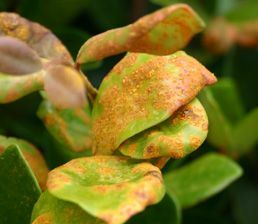 The program comprised a range of research projects and communication campaigns to provide information and tools to mitigate the impacts of myrtle rust in natural, urban, and primary production environments. The new arrangements included additional contributions by a number of state governments and research organisations. Biosecurity Queensland funded activities to increase knowledge of the impact of myrtle rust under local conditions, supported by community engagement activities. Research organisations, such as the AgriFutures Australia (then known as the Rural Industries Research and Development Corporation) and Plant Biosecurity CRC, together with the tea tree industry, also funded complementary research to help manage the pest. investigation of the feasibility of establishing a national resistance screening facility to develop breeding programs for beneficial species. PHA worked with partners to coordinate these activities.